The Eastern Pacific Hurricane Season woke up last week and it's off to a formidable start. Hurricane Bud is the season's second hurricane—and the second storm to form in the past week—and it could affect Mexico's west coast over the next couple of days. The storm could make landfall as a tropical storm on the Baja California Peninsula toward the end of the week. Hurricane Bud is a rapidly strengthening storm. Sea surface temperatures in the eastern Pacific off the coast of Mexico are extremely warm—approaching 90°F in areas to the southeast of the hurricane. This balmy water is miserable for swimmers but it can act like rocket fuel for hurricanes in the right environment. The combination of warm water, low wind shear, and ample moisture will allow Hurricane Bud to strengthen into what is likely to be a major hurricane over the next few days. 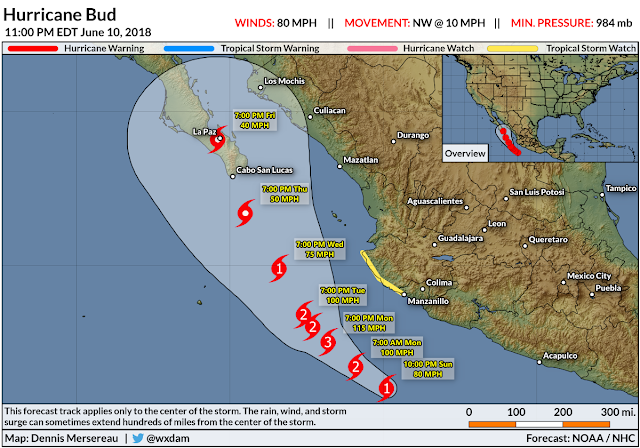 The hurricane will move into cooler waters and a less favorable environment later this week, allowing the storm to weaken as it approaches the Baja California Peninsula. The storm will likely bring foul weather to Cabo San Lucas whether or not the center makes landfall. Rough waves, rip currents, gusty winds, and heavy rain are all likely as the storm passes over or near the popular resort town at the southern tip of the peninsula. Bud is the second hurricane to form in this part of the world in the past week. Hurricane Aletta was the first named storm of the basin's hurricane season and it was quite the looker. The storm unexpectedly strengthened into a category four hurricane with maximum winds of 140 MPH before hitting cooler waters and slowly weakening. Hurricane Aletta was the perfect hurricane to admire on satellite imagery without a pang of guilt. 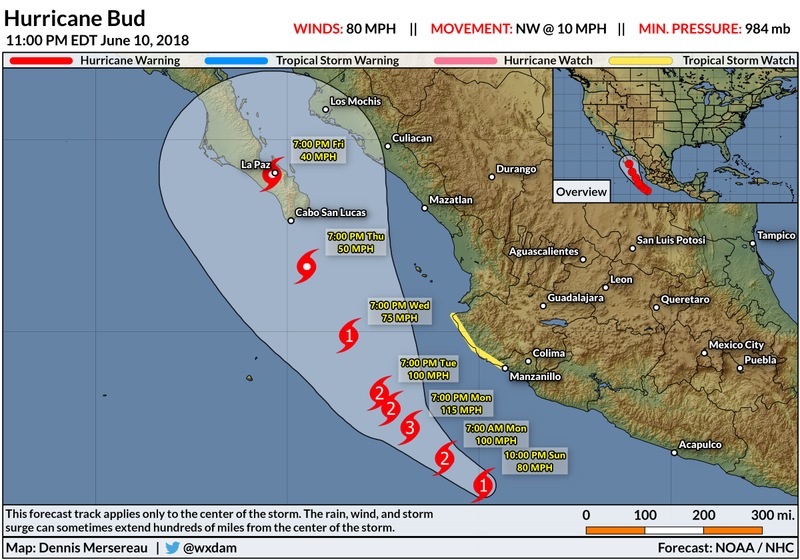 Most of the storms that form in the eastern Pacific are great to gawk at because, for the most part, they form near Mexico and swirl west without ever affecting so much as shipping lanes let alone populated areas. A storm like Bud, on the other hand, is more problematic. 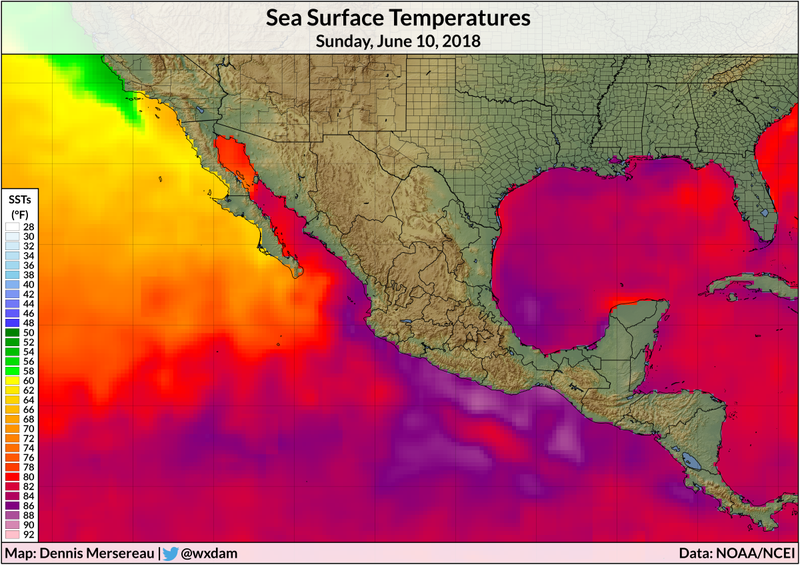 We routinely ignore the eastern Pacific's tropical cyclones in the United States because they rarely affect us, but the basin can occasionally spin up devastating storms for western Mexico. 2015 saw the strongest hurricane ever recorded in Hurricane Patricia—the storm packed maximum sustained winds of 215 MPH (really!) before weakening to "only" a borderline category five storm at landfall. The worst of Hurricane Odile's category three winds devastated Cabo San Lucas when the storm came ashore in September 2014. Hurricane season is fully underway in both oceans that surround the United States and Central America. 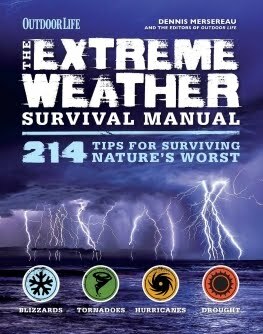 I published a hurricane season primer last week to help you know what to expect this summer and how to keep track of all the forecasts and products issued when a storm forms.